Bob Phillips, (B. 1953) pedagogue, composer, teacher trainer, and conductor, is renowned as an innovator in string education. Bob brings a wealth of knowledge and a sense of humor to his clinics, drawn from his 27 years as a public school string teacher. He is an expert in the use of large group pedagogy and in the development of alternative styles for strings. One of today’s leading educational authors and composers, his books and pieces are performed by thousands of string students each year. Bob and his wife, Pam, now devote their time to creating new music, workshops and materials for string teachers and students. Currently Bob is the Director of String Publications for Alfred Music and is Past-President of the American String Teachers Association. Bob has authored over 19 book series that include 127 books for use in the classroom including the ground breaking series of books Fiddlers Philharmonic, Fiddlers Philharmonic Encore!, Jazz Philharmonic, Jazz Philharmonic: Second Set, Mariachi Philharmonic, Latin Philharmonic, as well as the String Explorer method books, and the revolutionary Sound Innovations customizable method, all published by Alfred Music. He has had over 120 works published for orchestras and bands and is an award winning ASCAP composer. In Saline, MI, Bob built a string program with over 700 students that was a national model of excellence in both classical and alternative music. 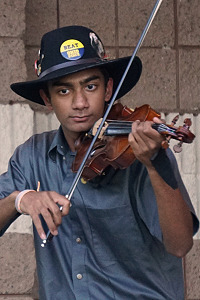 After leaving Saline, Bob began a new string program in Tecumseh, MI. Bob’s groups have been invited to perform at national and state conferences. 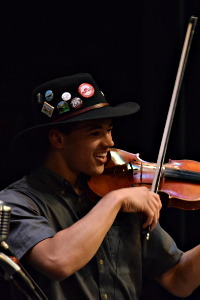 He founded the nationally renowned folk-fiddling ensemble, Saline Fiddlers Philharmonic, which under his direction gained an international reputation performing more than 100 shows annually. Bob has served as conductor for a variety of youth symphonies, all-state and honors orchestras, and camps including the All-State Orchestra at Interlochen, Blue Lake Fine Arts Camp Orchestras, Oakland Youth Orchestra, and the Queensland, AU, Honour Ensemble Program. 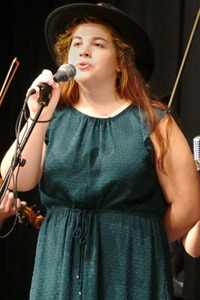 As a graduate of the University of Michigan with both Bachelor and Master Degrees in Music Education, Phillips studied with Lawrence Hurst, Elizabeth Green, Bob Culver, and Steven Shipps. 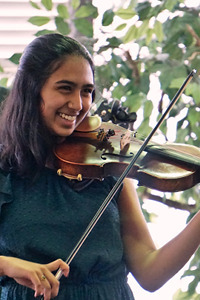 Bob’s students have been successful as string educators, and as professional performers in both classical and alternative styles. He has been elected “Teacher of the Year” nine times by national, state, and regional associations and has been invited to present clinics in more than thirty states and eight foreign countries. 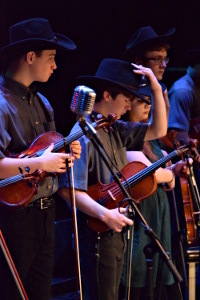 Recognized as Citizens of the Year by the City of Saline for their work in arts education, Bob and Pam were also honored in special ceremonies by both the House and the Senate of the State of Michigan for their work with the Saline Fiddlers. In 2013 Bob was inducted into the University of Michigan School of Music, Theatre, and Dance Hall of Fame. Bob and his wife Pam were honored as Saline’s Citizens of the Year in 2000 for their work with the Saline Fiddlers Philharmonic. 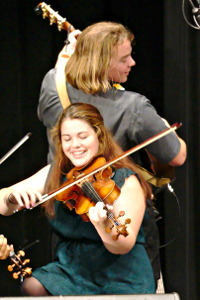 To learn more about their current pursuits visit their website at www.phillipsfiddlers.com.